Click the button below to add the Wasabi Peas to your wish list. On our quest to make a wasabi pea dip mix, we had to first figure out wasabi peas! 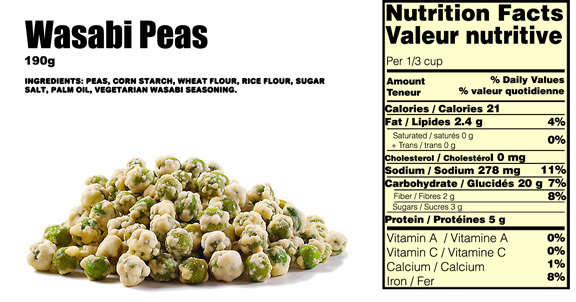 Ingredients: peas, corn starch, wheat flour, rice flour,sugar, salt, palm oil, vegetarian wasabi seasoning.